Other than the bike frames themselves, the single most drooled-over, talked about component on a bike is probably the front fork. 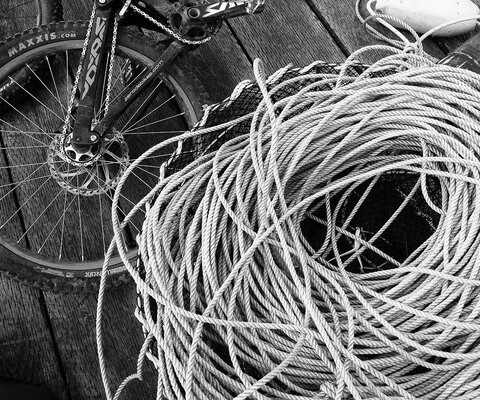 From exotic stanchion coatings to the latest and greatest internals, there are a few big guns that tend to hog most of the attention when it comes to equipping the front end of a bike. 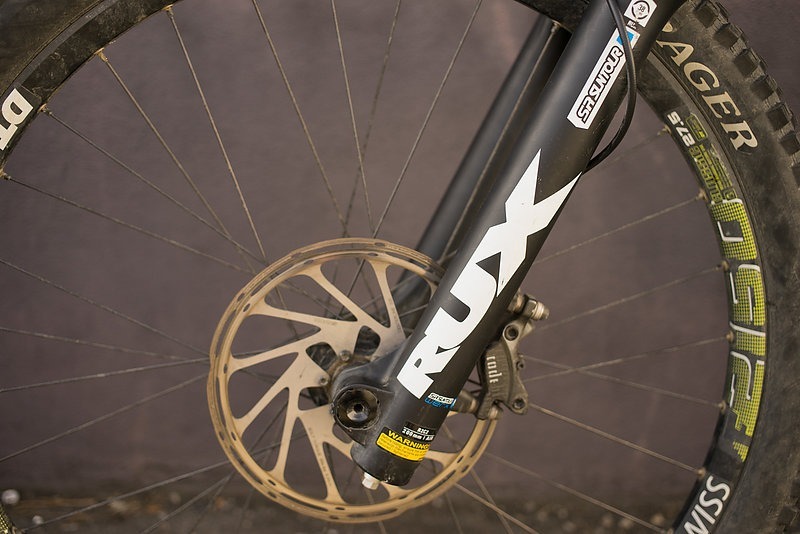 However, SR Suntour is looking to shake that up with the introduction of the latest version of their air shock dual-crown DH fork, the RUX. The 2016 SR Suntour RUX still shares many of the same features of the previous RUX, but with a few key changes and upgrades. 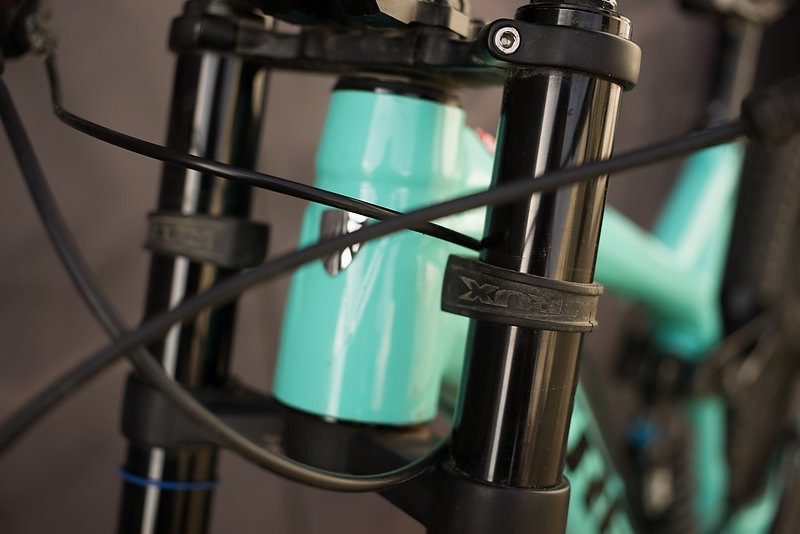 The RUX continues to utilize beefy 38mm stanchions, which looked even more menacing when compared to the stanchions of the Boxxer RC that I swapped for the RUX on my Trek Session test bike. 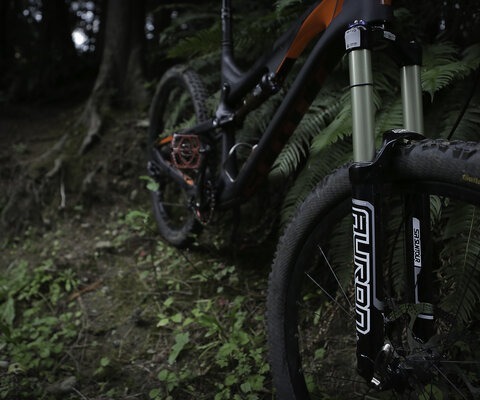 The new RUX is now available in both 26” and 27.5” versions and features SR Suntour’s new hard anodized black coating on the aluminum stanchions, which are mated to magnesium lowers. 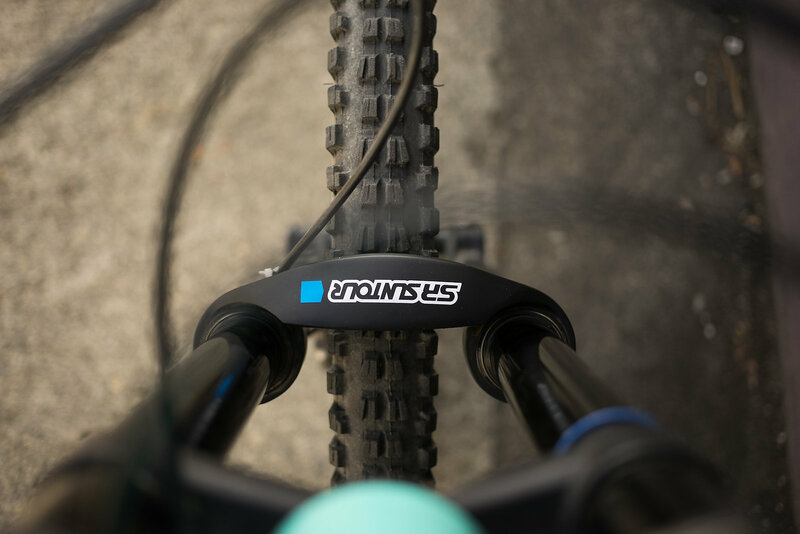 The Rux's beefed up 38mm stanchions give the fork some serious rigidity, exactly what you want on a downhill bike. 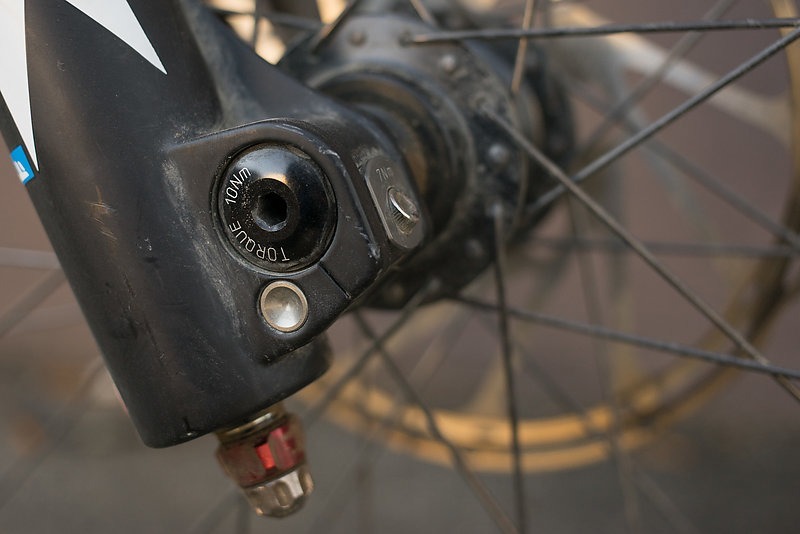 A 20mm through axel keeps the front wheel spinning and the burly factor high. The dust seals are standard and make for an easy lowers service. 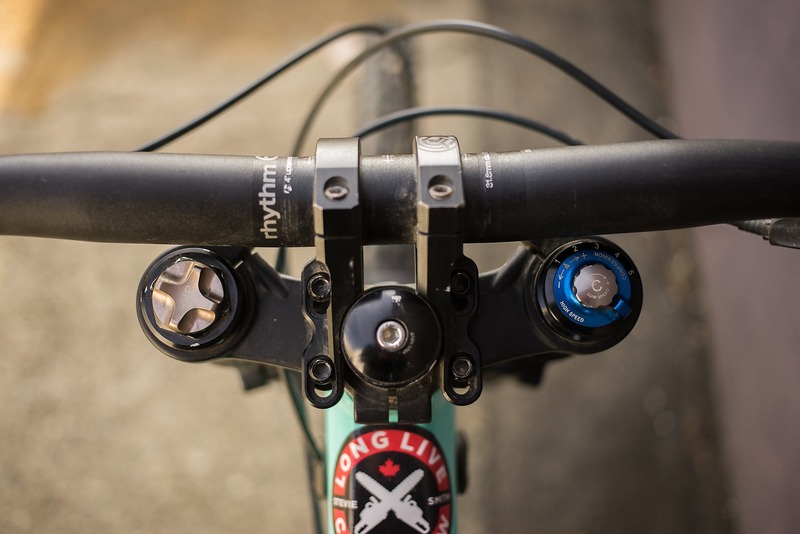 The RUX also features Suntour’s new R2C2 damping adjustment system. The new R2C2 provides riders with both high and low speed compression adjustment, but unlike the previous RC2 system, it also provides high and low speed rebound adjustments as well. 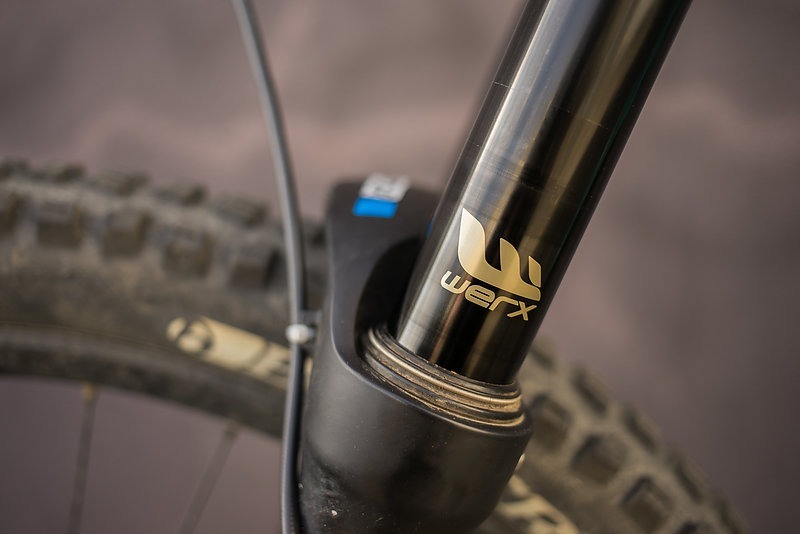 Riders who are complete control freaks when it comes to their suspension settings will appreciate the increased adjustability of the new RUX fork. SR Suntour has also rolled out their new Piston Compensator System (PCS) with the RUX for 2016. The PCS was developed to provide a simple and repeatable way to reduced cavitation, which is the mixing of air and oil which creates pressure building bubbles. 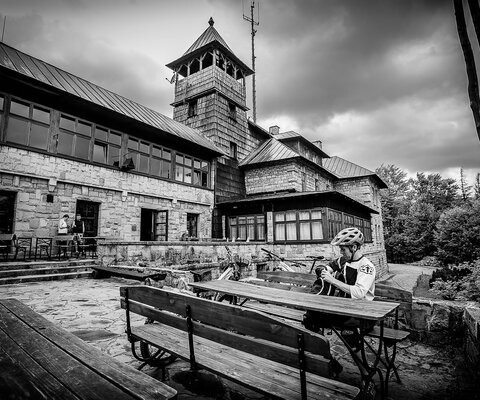 By separating the two, resulting cavitation is significantly reduced, providing a more consistent and predictable feeling fork, which is especially noticeable on long descents or particularly nasty trails. The RUX fork comes with two axle options, either a 20mm tool type axle (which our test fork came with) or the tool free axle. 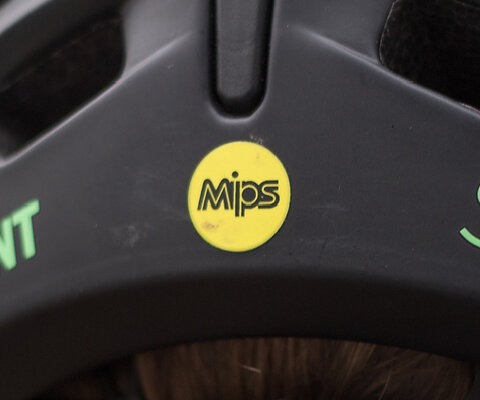 They have also added bleed ports to the lowers, which are especially convenient if you ever need to equalize the pressure in your fork, say after a heli bump to the top of a mountain. SR Suntour's new R2C2 internals let riders adjust high and low speed compression and rebound. With a bolted through axel, you've got to remember the multi tool, as you need a 6mm and 4mm allen to take of the front wheel. 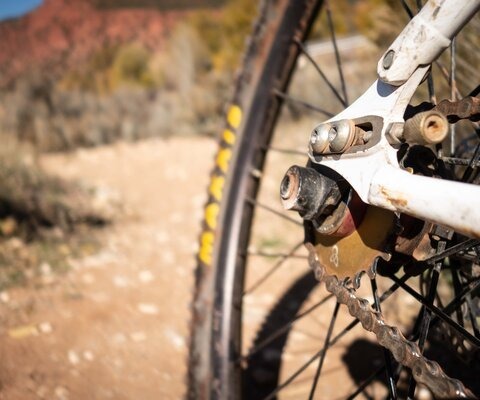 The rebound can be adjusted on the bottom of the right side of the fork. I set the RUX up on a 2016 Trek Session 8, replacing the spec’d RockShox Boxxer RC that came on it. Installing the RUX was a piece of cake and I left it with its factory settings for the initial testing. After setting the air pressure of the fork to the specified PSI for my weight, I hit the trails to start getting a feel for the fork. After running it through some steep tech and a few jump lines, I was able to dial in my compression and rebound settings to my liking. The RUX felt stiff cornering and held traction well, even as the hot, dry summer of the PNW eroded berms into brake bumped shells of their former selves. 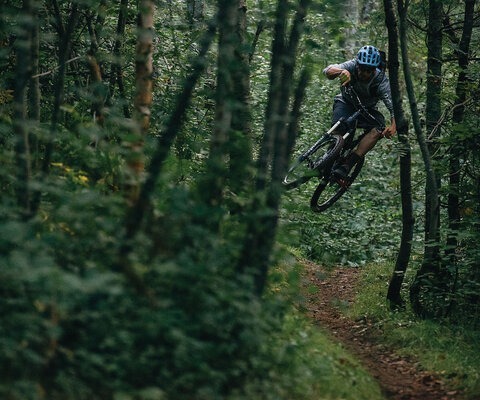 The fork didn’t pack up when rocketing into bumps, roots and rocks but maintained its heading and provided consistent feedback. It felt smooth when handing larger hits, but I found that with all 5 spacers in the stack, I wasn’t working through all of my travel, even if I would run a slightly lower air pressure than recommended. After riding the factory settings for a couple of weeks, I decided to dig into the fork and start playing with the adjustments. 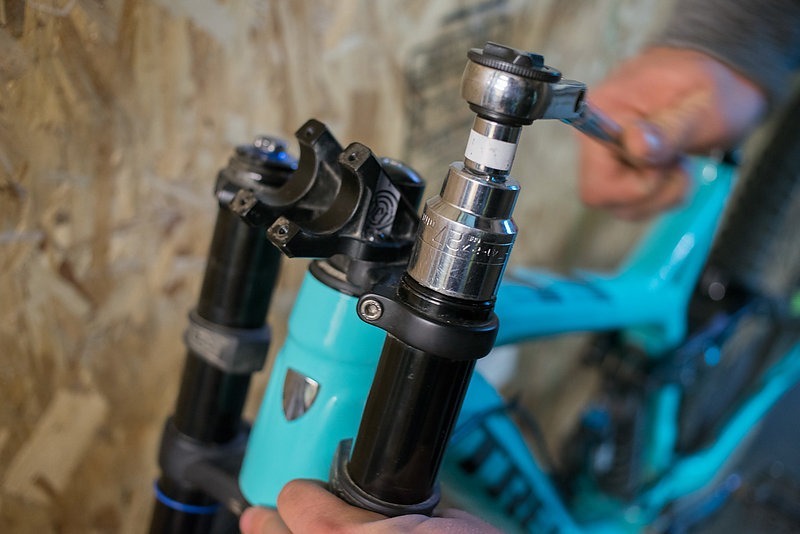 Fortunately, Suntour has adopted the QSP (Quick Service Product) model for the RUX as well, making it easy for those who aren’t suspension gurus to confidently work on their fork, often with minimal tools required. After releasing the air from the fork and popping off the cap on the non-drive side stanchion, I was easily able to pull out the volume spacer stack. The fork ships with five spacers installed, but after a quick chat with the folks at SR Suntour, I decided to remove two of the spacers which makes the fork feel more linear through its stroke. 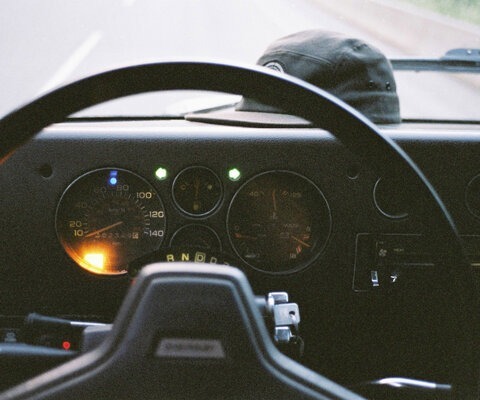 Whereas before the fork ramped up too early and too fast, less tokens kept if feeling more consistent through the travel. After removing the spacers, the suspension was less progressive, letting me maximize the travel while still maintaining small bump compliance and a deep, plush feel for those big hits. 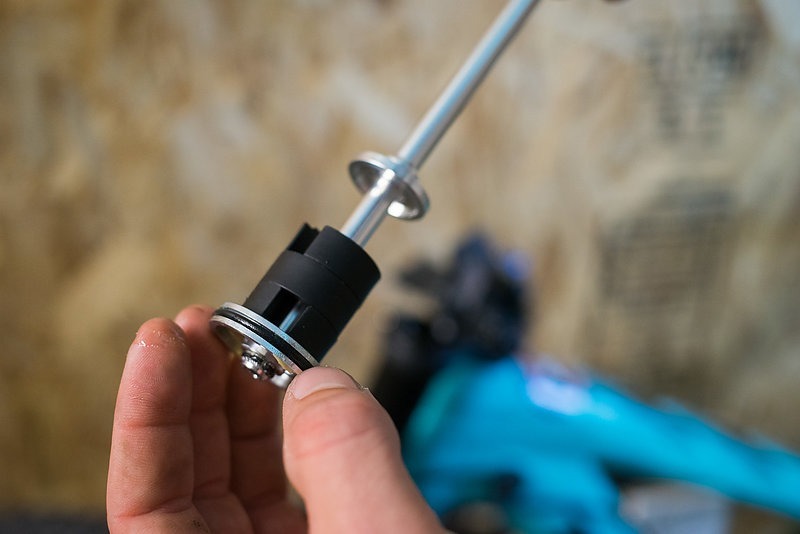 Adjusting spacers in the Rux is easy, as it only requires a 27mm socket and about 10 minutes. The Rux comes stock with five spacers, but our reviewer found three better suited his weight and riding style. Customizing the Rux is key! 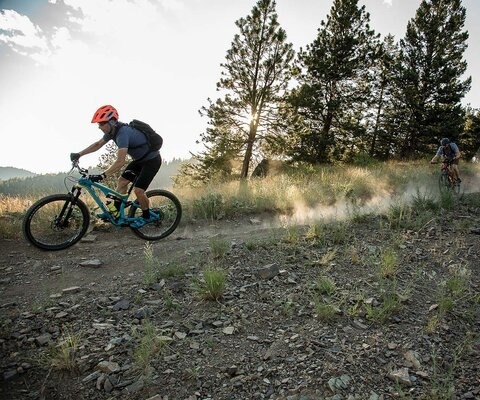 SR Suntour's Rux is a solid DH for that has some of the same features as other top-of-the-line forks at a substantially lower price. 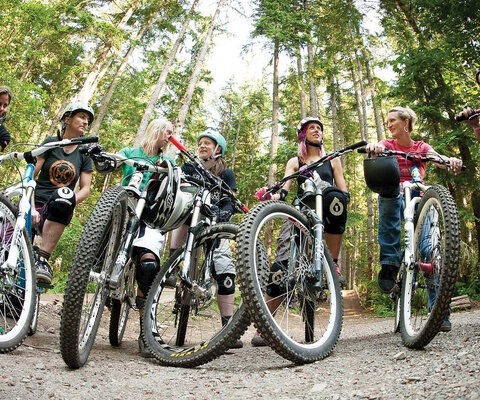 Once the I had the fork tuned for my weight and riding style, I felt more confident on my DH bike than I ever have. The RUX was just as happy gobbling up rock gardens and smashing through bomb holes as it was gliding through the air and sucking up my poor landings. This fork was put through countless shuttles, heli bumps to the top of Reco Peak, laps on laps at Whistler bike park and many pushes the top of my favorite local trails. 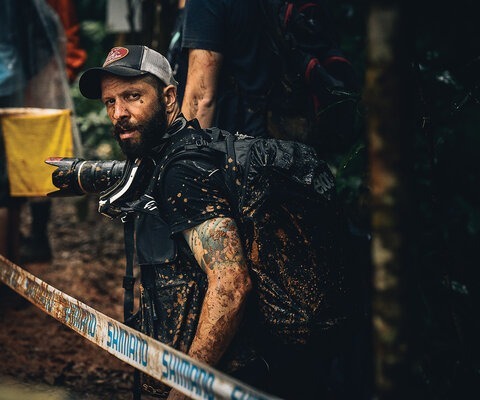 Throughout it all, the RUX performed consistently and predictably, never packing up in corners or spiking erratically on long, rowdy descents. 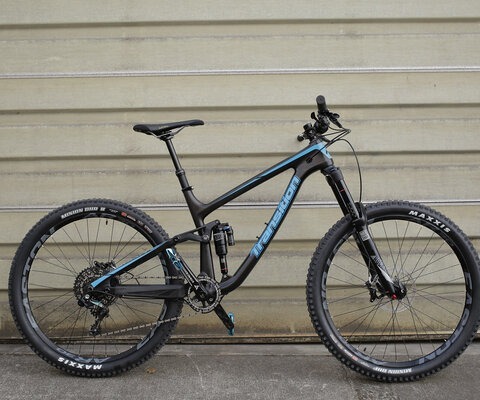 Overall, I think SR Suntour has put out their DH best fork to date. 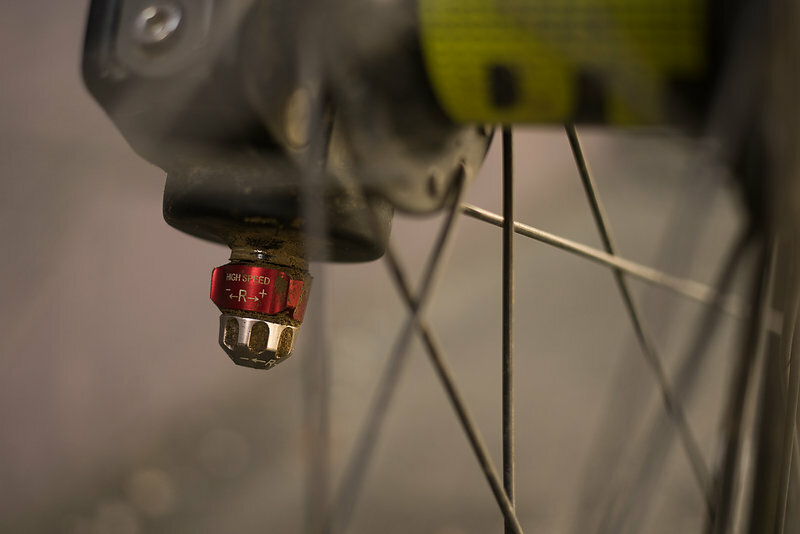 The new R2C2 provides riders all of the adjustments of the other big suspension brands for those that prefer ultimate adjustability and total control of their shock. 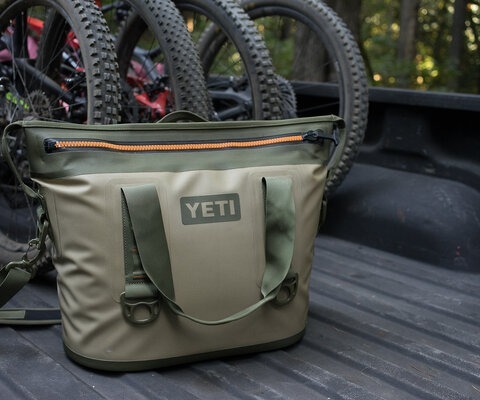 The new Piston Compensator System delivers reliable performance day in and day out, so your fork feels just as good at the top of a 5000-foot descent as it does at the bottom. The upgrades from the previous version are well thought out and perform as designed. However, even with all the upgrades and re-designs the RUX still won’t break the bank. 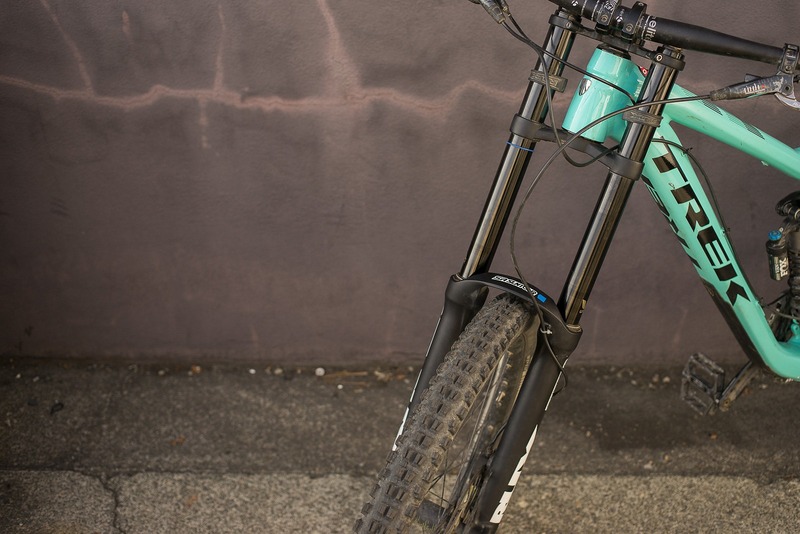 At $1,199.95, the RUX is about $500 dollars less than a Fox 40 Float Factory or RockShox Boxxer World Cup, which is a lot of leftover cash to put towards the rest of your bike, or one hell of a bar tab—but that’s up to you.